Team - Laitek - Learn more about our expert team. Our management team consists of industry leaders who understand the marketplace, patient care, hospital needs and – above all – what it takes to successfully control your organization’s healthcare data. As a medical physicist specializing in imaging informatics, Dr. Behlen’s career includes experience in industry, academics and healthcare provider organizations. 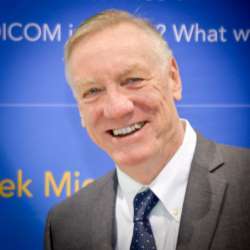 Fred is a former faculty member of the University of Chicago, he is past co-chair (1999–2010) of the DICOM-HL7 joint working groups (DICOM Working Group 20 / HL7 Imaging Integration SIG). He is also past co-chair of the HL7 Structured Documents Technical Committee and a Co-Editor of the HL7 Clinical Document Architecture Release 2 (CDA). With over 20 years of healthcare engineering and product development experience, Cameron is responsible for managing strategic planning, product development, sales, service, and support for Laitek. Prior to joining Laitek, he was Managing Partner of XTI Group providing transitional leadership to a healthcare technology companies and provider organizations around the world. He has held leadership positions at top industry companies driving innovations and R&D in imaging, monitoring, and EMR. Cameron holds over 30 issued patents world-wide, and served as Industry Chair for the Carnegie Mellon University Quality of Life Technology center. During his engineering career, he served as Chairman of DICOM Working Group 8 (Structured Reporting), was a charter member of Integrating the Healthcare Enterprises (IHE) Cardiology, and authored IHE’s first Echocardiography technical profile. 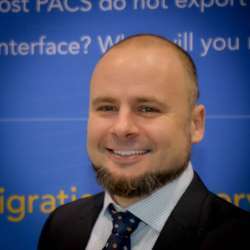 Based in Romania and leading Laitek’s development and system engineering team, Mr. Costea-Barlutiu and his team are predominantly focused on developing high-performance PACS components and overseeing the technical aspects of all Laitek data migrations. Razvan originally worked with Dr. Behlen in Rossman Labs at University of Chicago on the National Digital Mammography archive and developed the first tools that performed a full round-trip conversion from DICOM to XML. Doug has an impressive product R&D career in healthcare markets and is a founding member of the Laitek team. 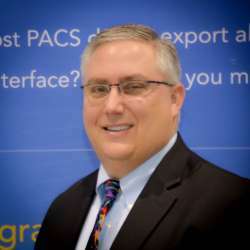 His experience includes software development, systems engineering, test automation, interoperability, industry standards for electronic medical records, and quality and regulatory compliance. 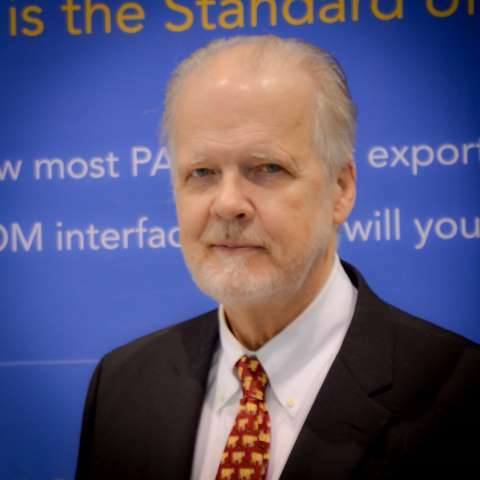 Doug has spent decades developing and applying Standards (DICOM, IHE, coding systems) to enhance products and clinical information continuity within clinical workflow. Tom is responsible for providing strategic and tactical direction of US Information Technology and US Project Management. 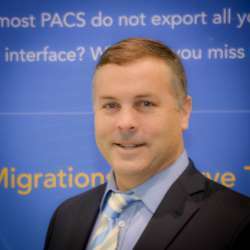 Having implemented PACS systems and Radiant systems for multiple healthcare organizations, Tom brings more than 18 years of experience in radiology insight into the implementation process. Having led several teams through implementations and a PACS selection process, he has an exceptional ability to bring a sense of urgency to a team while keeping team members focused and calm.